When people meet with the attorneys of Gary A. Zucker & Associates, P.C. here in Brooklyn, they can expect exceptional legal representation, particularly after serious motor vehicle collisions. Our lawyers handle many lawsuits concerning serious auto accidents that leave people injured or leave loved ones mourning a tragic loss. So many accidents happen on our city streets that we'd like to consider some dangers of driving in urban areas. City streets and urban roads can be quite congested, and the sheer number of vehicles on the road means that collision with other cars and trucks is far more likely. Driving defensively around so much traffic is your key to avoiding collisions and major injuries. Even though stop-and-go traffic seems like it would make driving on urban roads safer, it's deceptive. The nature of this traffic could make motorists more frustrated and aggressive, making reckless behaviors and road rage more likely. On the note of reckless behaviors, intersections in urban roads can be very dangerous. Many drivers will speed through yellow lights to beat red lights, or they may simply run red lights entirely. In addition, making left turns can be very hazardous, even if the turn is guarded by a traffic signal. One-way streets are so common in the city, but many out-of-towners or people unfamiliar with the roadways don't know what to expect. It's possible for drivers to travel down the wrong way on one-way streets, making head-on collisions likely. Since city streets get a lot of traffic, they see a fair amount of wear and tear as well. Road crews may have to block off lanes to finish road repairs, making traffic worse or increasing the chances of major collisions. Cabs and buses are all over the city, getting people where they need to go. They can also lead to accidents if cab drivers and bus drivers are not attentive to their surroundings and what they're doing. 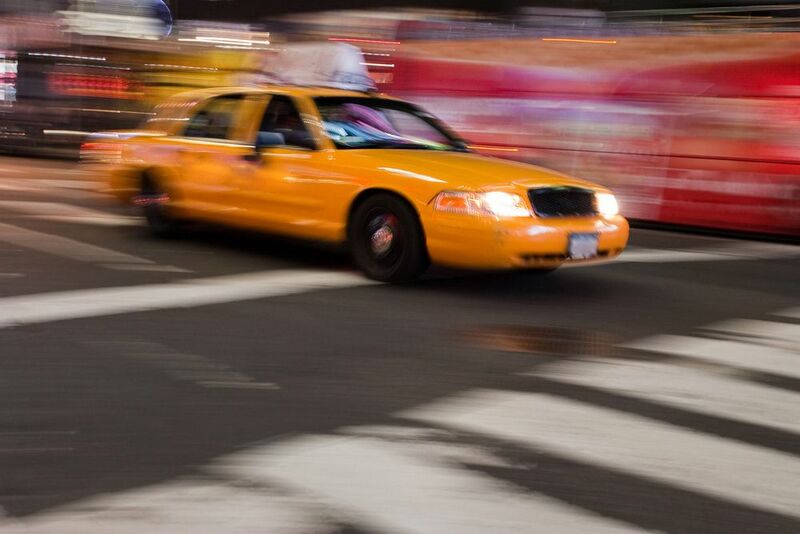 Even though there are plenty of cabs and buses around and the subway runs all night, people still make the awful mistake of driving when they are drunk. Drunk drivers are a danger to everyone on the road, especially in busy parts of Brooklyn and New York City. Drivers have to share the road with people on bikes as well as regular pedestrians. They are very vulnerable to injury if a car strikes them. It should also be worth noting that bicyclists and pedestrians can potentially be reckless in their own ways, such a J-walking or riding against traffic, which makes the road quite dangerous for everyone. Even though you're in the city, traffic and tight roads can actually mean delayed response times from ambulances and firetrucks. This delay can mean the difference between life and death in some cases, which is yet another serious danger of accidents on city streets. To learn more about your legal rights after a serious auto accident, it's of the utmost importance that you contact our personal injury law firm today. The legal team here at Gary A. Zucker & Associates, P.C. will fight diligently for you and your loved ones every step of the way.